DISCO DANCER (1982), dir. Babbar Subhash, 135 mins., filmed in Hindi. Starring Mithun Chakraborty, Rajesh Khanna, Gita Siddharth, Om Puri. Music by Bappi Lahari. You probably weren’t wondering about the first dance-competition movie to come out of Bollywood. But recently, I was. As a long-time fan of dance movies, I started to wonder about this when I saw last year’s Anybody Can Dance (ABCD) 2 in a Manhattan multiplex. It’s about a dance crew competing in Step Up-style contests, and I liked it so much I asked a friend in India to send me ABDC 1. Looking for more background on Indian movies with dance contests, I was led to “Disco Dancer,” which was supposedly the first of its kind. I knew that Bollywood movies have had dancing ever since the dawn of the sound era. For example, the 1931 Indian film “Alam Ara” featured seven musical numbers and is said to have set the precedent for the musical trend that followed. It was even billed as “All Talking, All Singing, All Dancing,” perhaps inspired by Hollywood’s earlier Broadway Melody. But Indian movies with dance contests are much newer. In fact, Disco Dancer is supposed to be the first. I had to ask my same friend to find me a copy with English subtitles. It’s a rags-to-riches tale of a Mumbai street singer who becomes India’s disco king. Its main inspiration was Saturday Night Fever (1977), in which Tony Manero (John Travolta) hopes that dancing will rescue him from a dead-end life working in a Brooklyn paint store. In fact, Disco Dancer’s main character keeps a John Travolta poster in his room. 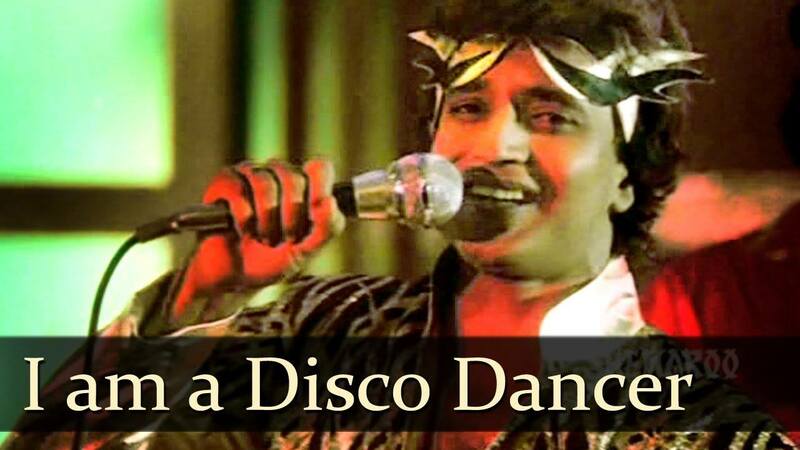 Disco Dancer is said to have brought the disco trend to India. It gave a disco boost to the careers of its star Mithun Chakraborti and composer Bappi Lahari, and has since become a cult classic. And it’s also a classic example of a good-bad movie. Reviewers over the years have loved to poke fun at it. 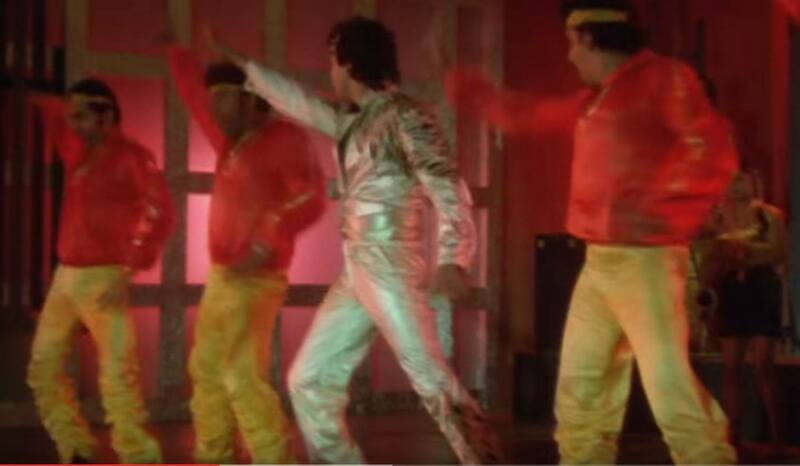 Disco Dancer is 80s Bollywood at its cheesy, campy, nonsensical worst. The guiding philosophy of the film is to giving the audience what they want times a thousand. Filled to the rooftop with bad décor, bad outfits, bad hair, bad dance steps and bad melodrama, this film is an absolute hoot – so bad and yet so satisfying. Drugs were in fact created to simulate the experience of watching Disco Dancer. The movie is about Anil, who as a child sings and dances for the pure love of the art. He’s inspired by his musical guru Master Raju (Rajesh Khanna). One day when Anil is dancing down the street, he’s invited into the yard of a wealthy young girl, Rita Oberoi. As a dirt-poor street kid, Anil has only a plastic toy guitar, but Rita just happens to have a real guitar and lets him try it. Right about then, her father comes home and is horrified to see a street kid in HIS yard singing to HIS daughter. Oberoi (Om Shivpuri) is one of the richest men in Mumbai, so he can get away with getting Anil arrested for stealing. When Anil’s mother comes by to take him home, Oberoi beats her to the ground, and she goes to jail for Anil. When Anil’s mother returns from jail, they are ostracized in their small community, and forced to move to Goa. Over the next fifteen years, Anil channels the shame and anger over his mother’s humiliation into dance. Guided by his new manager David Brown (Om Puri), he recreates himself as Jimmy, the Disco Dancer. He becomes so famous that he lands his own endorsements and branded merchandise: Jimmy Ice Cream, Jimmy fabric and Jimmy T-shirts. Jimmy and his manager think it’s now time to return to Mumbai and reclaim his mother’s honor through the vehicle of disco dance. Back in Mumbai, Oberoi’s son Sam has become the reigning disco king, and Rita (Kim Yashpal) has grown into a beautiful young woman. When Jimmy returns, he becomes Oberoi’s worst nightmare. He begins to date Rita, and also challenges Sam to compete at the International Disco Championship. Oberoi can’t have this, and hires thugs to stop Jimmy by any means necessary. He even plans to kill Jimmy by electrocuting his, er, electric guitar. Jimmy’s mother saves the day by grabbing the high-voltage instrument before Jimmy does, and she suffers death-by-guitar in Jimmy’s arms. Jimmy bides his time waiting for the contest trying to work through his new guitar-phobia while Oberoi’s thugs think of other ways to kill him. “Disco Dancer” is a good-bad movie of the “kitchen sink” type. If you can imagine a genre cliché from Bollywood or Hollywood, it’s here. You get misty Hallmark romance tableaus, bald-headed villains out of a Bond flick, kung-fu fighters flying into piles of rubber bricks, religious devotion and family psychodrama played out through chirpy dance numbers. The disco numbers have more polyester, glitter, tinsel and garish lighting than I’ve ever seen in another movie. Even the dancing isn’t that great. Looking at it with my North American sensibilities, I can think of a few reasons that might explain why it’s become so well-remembered. The talent, for one thing. But I think the most important reason the film has endured is that it’s got heart. For all its cornball cheesiness, it doesn’t try to be arch or ironic like a Tarantino film. Even though it looks like a parody, it plays straight, sincere and honest. Even the camera is honest — it lets the dancers do the dancing and doesn’t play tricks to enhance their moves. The film’s precious, naïve charm is the real thing, and I found the experience utterly captivating even while I laughed. 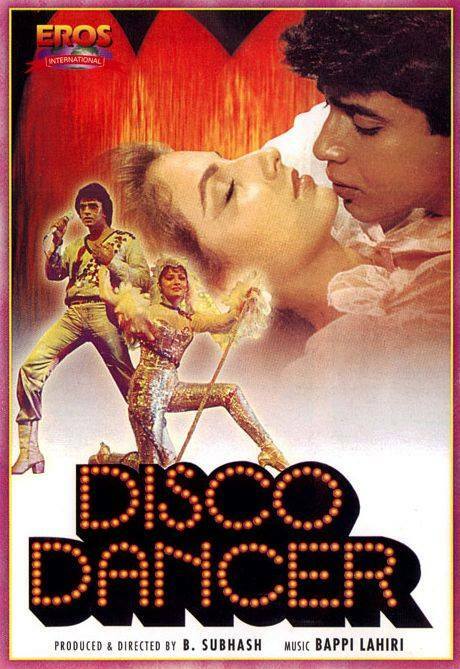 The famous song “I Am a Disco Dancer” is the film’s climax. It’s performed as a stage number with the famous Travolta finger-pointing, hip-cocking dance moves. By the time Jimmy’s in Travolta mode he’s reached the pinnacle of his art and his self-creation is complete. I couldn’t help but root for him. At the dance contest later on, Jimmy is almost booed off the stage for depression and guitar phobia. He just stands there and can’t sing. But at the last moment, he manages to sing a song devoted to his mother’s memory. It’s a genuinely loving and poignant performance. The healing touch that finally enables him to sing is provided by his old guru Master Raju, who appears on stage singing their old song from his childhood. The world belongs to the compassionate ones. Live with joy and die with joy. We are the dealers of music. I look forward to seeing the movie sometime again soon. 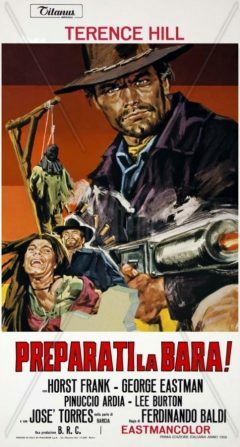 This is a very excellent review of one of the most favorite movies from the early years of my life, through a western eye. The movie “Disco Dancer”, even after 35 years still brings out a myriad of emotions and that it is still remembered all the way from South-East Asia to Central Asia (ex-Soviet Union) to Africa. One can still go though the hundreds of comments left by people from different nationalities and ethnicity, fondly remembering the time when they saw this movie (not once but multiple times) and the nostalgia it evokes of a time long gone. 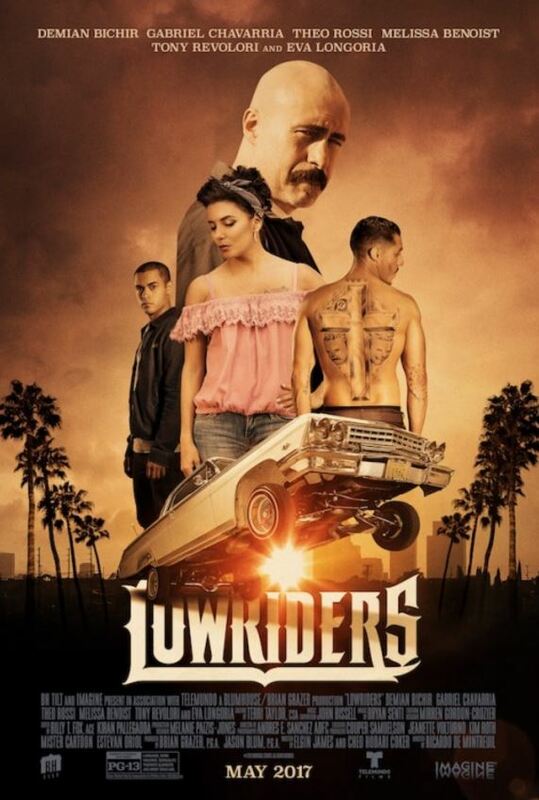 This is a movie that has people who love it passionately and then there is a group, who dislikes this movie with equal amount of passion but fortunately that group is in minority. 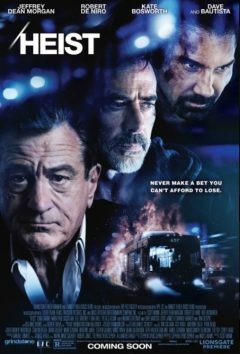 Now for anyone who is introduced to this movie in 21st century, the chances are it will be dismissed as a crappy, low budget flick, fit to be put back in that dusty corner of the archive room and best forgotten. While, one cannot blame them, because they have already missed the bus by over three decades. I am glad that you were able to see beyond the gaudy costumes, some over the top hamming, cheesiness into the core of the, which you say is signified by the song “Na Goron Ki Na Kaalon Ki” song. Disco Dancer was never meant to be a film that aimed for the highest adulation and awards. It was a low budget experimental movie, where makers wanted to see the reaction of the Indian moviegoers to Disco songs, which by then had already gained popularity via “Aaap Jaisa Koi” (Qurbani, 1980) and a pop album called Disco Deewane, featuring Nazia Hassan Zoheb Hassan, a Pakistani brother-sister duo) both of which were composed by Indian musician Biddu of “The Biddu Orchestra” and who worked with singers, giving them hits like Tina Charles (Dance Little Lady Dance) and Carl Douglas (Kung Fu Fighting). The reason it resonated so well with the audience back then was because, it is a movie that shows an underdog, a man from an unprivileged background and no wealth to speak of and his fight against the social stigma falsely stamped on him and poverty and his mother being the only support he has in his life. I have read some western critics writing that they find it “creepy” to see a grown man eating off his mother’s hand but I guess this was shown only to depict the strong bond that exists between him and his mother, no matter what age, he is still her child. Though I do not see it likewise, he should have learnt to eat by himself. IN the end, it is a movie that was made with all honesty and from the heart by the makers without a hint of pretentiousness. The trio of Mithun Chakraborty, Bappi Lahiri and B. Subhash went onto make other Disco songs based movies like Kasam Paida Karnewale Ki (1985) Dance Dance (1987) but Disco Dancer has almost stood alone to the tests of the time.